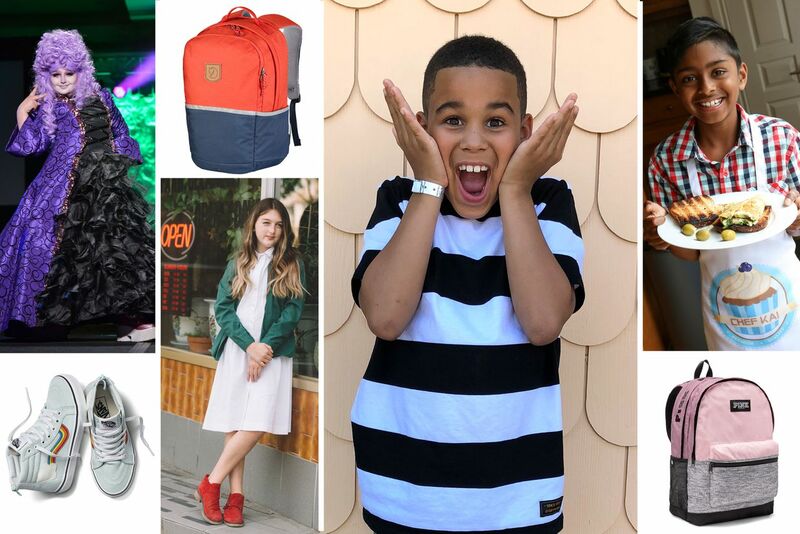 Teenage activist Yoav Landsberg-Lewis, fashion maven Violet Keeler-Fox, YouTube prodigy Kameiro Rush and kid cook Kai J. Moorthy were among the young Canadians The Globe and Mail consulted for our 2018 back-to-school section. 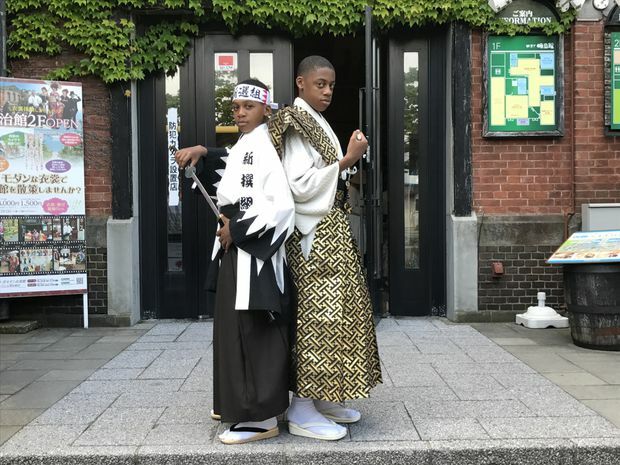 How to be prepared for fun: At 8, Kameiro Rush is a YouTube superstar, who, alongside his younger sister Cali, plays with a variety of toys and costumes on their channel FamousTubeKIDS. As he gets ready to start Grade 4, he unboxes his must-have items: crayons, binders and notebooks, a Lego backpack, a Raptors hat and a fidget spinner. How to keep it clean: Adolescents are just learning the ropes of adult hygiene: Showers instead of baths, using deodorant and other personal grooming habits are important. Ask a grown-up you trust to take you deodorant shopping and lean on their years of experience to find the healthy habits that are right for you. Here’s some advice to get you started. How to reconnect: Are you worried you’ve been spending too much time on your phone all summer? If so, it’s a good idea to focus on the quality of your on-screen time instead of the quantity, says Kara Brisson-Boivin, director of research at MediaSmarts, an Ottawa-based digital and media literacy centre. Consider getting your family to hold you accountable for bad smartphone habits, or adopting a digital curfew for everyone to put their devices away. And importantly, look for things to do that don’t require a phone. Take the dog for a walk or go to the movies with friends, Brisson-Boivin suggests. How to get smart: In writing her book Ara the Star Engineer, Google program manager Komal Singh wanted to get children, girls especially, excited about coding, computers and problem-solving. We asked 10-year-old Beatrix Mastai to interview her at the futuristic Google campus in Kitchener-Waterloo. How to make a difference: It’s never too young to get involved in activism. Jed Sears, 14, got involved in Toronto political campaigns when he was 11 and helped his school’s Gay-Straight Alliance make junior high more inclusive for LGBTQ students. Lia Pappas-Kemps, the 14-year-old star of CBC’s modernized Anne of Green Gables series, is a champion of women’s rights at school and online. And Yoav Landsberg-Lewis, 13, fights sexism, racism and homophobia in Toronto as UniKittie, one of Toronto’s youngest drag queens. These are their stories. Jed Sears, 14, Lia Pappas-Kemps, 14, and Yoav Landsberg-Lewis, 13, are three young people trying to make a difference. Chazz Choi eats his bento box in Calgary. Here are some ideas from stylish teens about how they’ve transformed their homes. 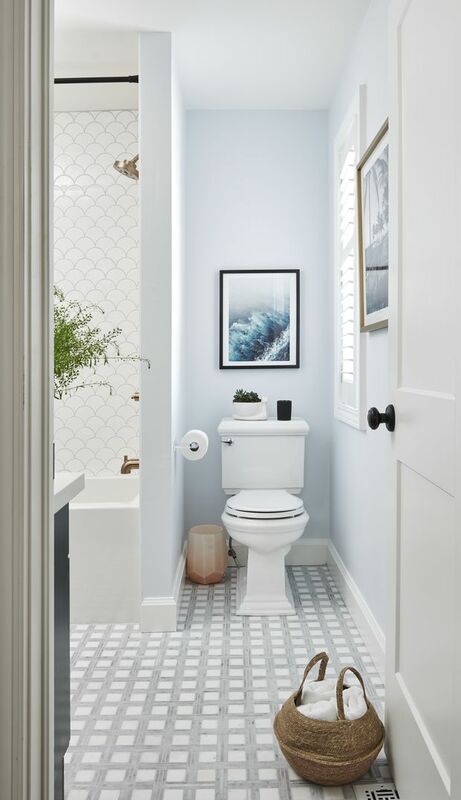 Sixteen-year-old Maya Coniker, whose mother writes the popular blog Decor Happy, redesigned her bathroom around “a spring type of theme including flowers and birds.” She was pleased with the end result, “The fun, positive colours incorporated into the space makes a great area for my age group,” she says. Juliette Arsenault in her Montreal bedroom. Madeleine (Mado) MacInnis and Violet Keeler-Fox explore the racks on their search for back-to-school clothes. 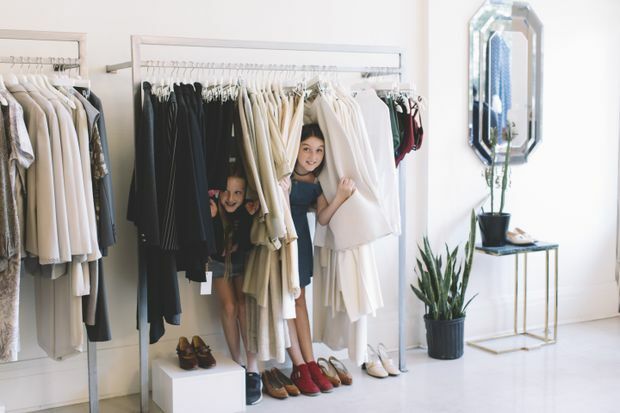 A shopping odyssey: The back-to-school fashion planning started in June for Toronto’s Violet Keeler-Fox, 11, and Madeleine (Mado) MacInnis, 10. “I like to look like a put-together person,” Violet says. "I don’t like blending in with all the other mainstream kids, at all.” When the girls went shopping in July, Globe style writer Nathalie Atkinson tagged along, as they and their mothers journeyed from the secondhand shops of Roncesvalles to the chain stores of the Dufferin Mall. Finding your style: Nevée Caravello, 13, has been back-to-school shopping with her grandmother since she was four. “I don’t necessarily look to celebrities for ideas,” she says. “I watch what my friends or peers wear, and if I like it I would look for it or something like it at the store.” Here, she tells The Globe what she’s excited about this year. Breaking the mould: If your school uniform makes you feel drab, feel fab instead with some accessories. Odessa Paloma Parker looks at the hats that can let your creativity shine, from quirky baseball hats to chic berets. Facing the world: With your teenage years come acne, blemishes and other challenges to good skin care. 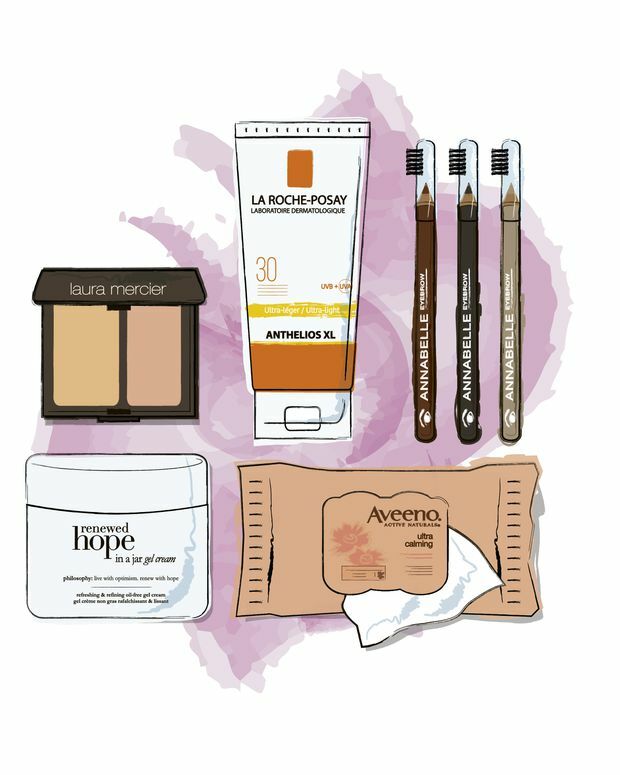 Here, Gayle MacDonald breaks down the basics: Face wash, makeup remover, moisturizer, foundation, bronzers, cream blushes and sunscreen. When in Rome, do in the Romans, as Jasper Jordan, right, learned when he attended gladiator school in Rome this summer. Where to go: Going back to school and catching up with your friends may give you great ideas about how to spend your next vacation. You’ve probably spent your summers with campfires and canoes, but have you tried swords and shields? For his summer vacation, 11-year-old Jasper Jordan learned to fight like an ancient Roman at a gladiator school in Rome. “It was better than getting a solo win in Fortnite,” he writes. What to bring: Amy Valm breaks down the gear you’ll need for a successful summer outing, from backpacks and luggage to video games on the go. Social survival: Is travelling with your family an adventure or a nightmare? Our kid correspondents have some advice to make sure it’s the latter: Cameron Greenwood Davis on dealing with your parents, and Ava Bisby on dealing with siblings. Cameron Greenwood Davis, left, with his brother on vacation.